Today’s Etiquette Wednesday features a small booklet whose introduction is almost as long as the remaining book. 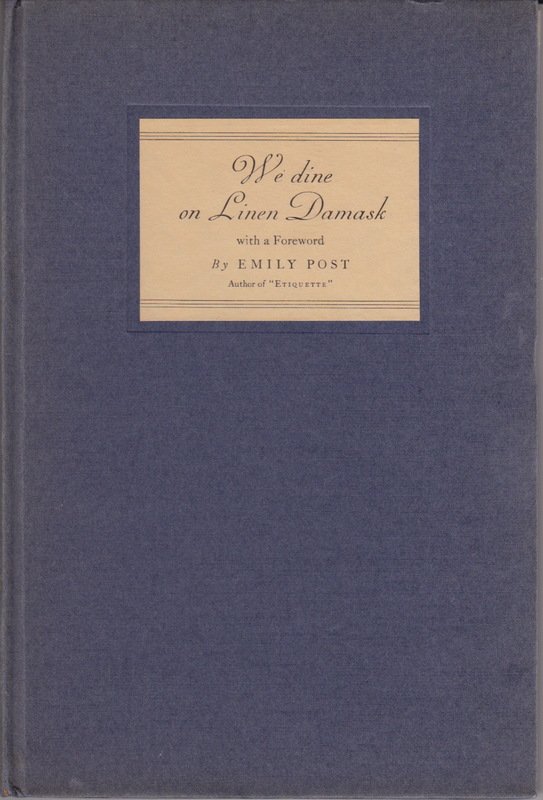 The book, published in 1926 by the Irish & Scottish Linen Damask Guild, has a forward was written by none other than Emily Post. Yes, another "Emily" Post. 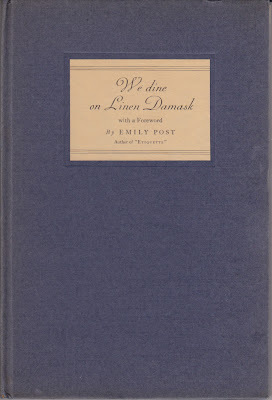 Clearly, if you are interested in the subject of etiquette, you will find yourself with a vast collection of advice, big and small from Mrs. Post. I will concede that as she became more and more a, or should I say, “the” voice of 20th century etiquette, she took many opportunities to lend her name to commercial endeavors. However, these projects never came with a scintilla of compromise from Mrs. Post. There are another 13 pages of marching orders on ones linens. The tone remains the same: eat bread and water if that is all you can afford but for the love of propriety, eat it on a damask tablecloth. I was, in fact, dining on Cheetos straight from the bag as I read your post. Linen damask is definitely the way to go. Although my everyday napkins tend to be, more often than not, unironed and older than I am, they really hold up.